Apple supplier Foxconn has admitted that it did take on intern students as young as 14 years old at its factories after the Taiwanese manufacturing giant published the findings of a report that followed media reports from September. A statement from Foxconn Technology Group provided to TNW confirms that some students that partook in its short-term internship program were below China’s legal working age of 16 years and that, as the company admits, is a violation of the country labor laws – and Foxconn’s own policy. The students involved had worked at Foxconn’s Yantai factory, in Shandong Province, for three weeks and “immediate steps” were taken to report them to their educational authorities — which have not been named by Foxconn explicitly — once the issues had been identified. The Taiwanese-headquartered company says that it has not found any other such violations at its other bases but the fuller enquiry is likely to look into that issue in more detail. 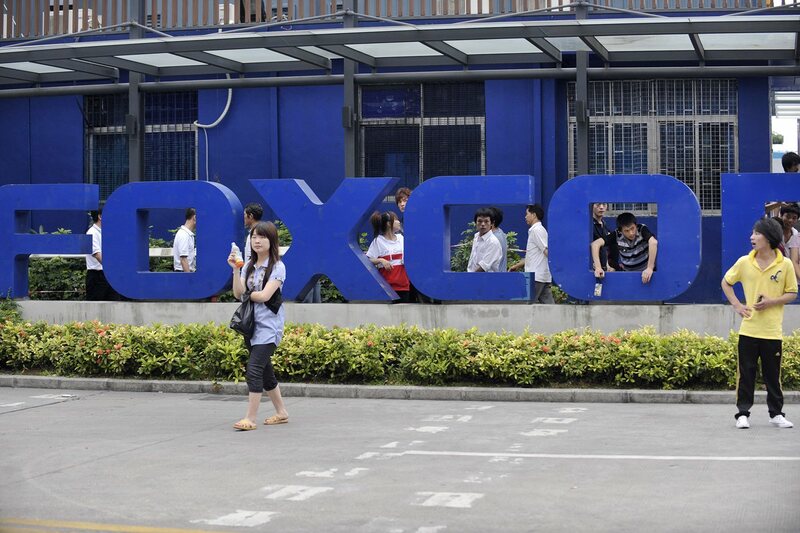 That report will see any Foxconn employees found responsible for the underage interns fired, the company has vowed. Interestingly, the company doesn’t specifically confirm that the issues took place in a factory that produces Apple goods, however media reports did assert that this was the case. Update: Hon Hai — Foxconn’s parent company — told the Wall Street Journal that the Yantai facility at the centre of the matter has “no association with any work we carry out on behalf of Apple”. An internal investigation carried out by our company has confirmed media reports in China that some participants in the short-term student internship program that is administered at our campus in Yantai, Shandong Province are under the legal working age of 16 years. This is not only a violation of China’s labor law, it is also a violation of Foxconn policy and immediate steps have been taken to return the interns in question to their educational institutions. We are also carrying out a full investigation, in cooperation with the respective educational institutions, to determine how this happened and the actions that must be taken by our company to ensure that it can never happen again. Our investigation has shown that the interns in question, who ranged in age from 14 to 16, had worked in that campus for approximately three weeks. We have found no evidence of similar violations in any of our other campuses in China but we will not hesitate to take immediate action in any campus if any violations are discovered. In addition to returning the students to their educational institution, Foxconn will work with the local government to ensure that the future participation of these schools in the internship program is only done after it has been determined that they are in compliance with China’s labor law and Foxconn policies. However, we recognize that full responsibility for these violations rests with our company and we have apologized to each of the students for our role in this action. Furthermore, any Foxconn employee found, through our investigation, to be responsible for these violations will have their employment immediately terminated. Foxconn has long had a short-term internship program that we carry out in cooperation with a number of vocational schools and other educational institutions in China. The internship programs range from three to six months in duration with the average being 3.5 months. Interns represent approximately 2.7 percent of our workforce of 1.2 million employees in China. While we provide vocational schools with our qualification requirements, it is the schools that recruit the students under the supervision of the relevant local government and the schools also assign teachers to accompany and monitor the students throughout their internship program. In addition to allowing the students to gain relevant industry experience while earning the same industry-competitive compensation as our full-time entry-level workers, this program gives Foxconn an opportunity to identify participants who have the potential to be excellent full-time employees should they wish to join our company upon graduation from their vocational school. However, the goals of this program are not met when China’s labor laws and Foxconn’s employment policies are not respected which has happened in this case. Foxconn came under pressure in September when students were reportedly required to ‘intern’ at the company for two months rather than starting school. The issue rose at a time when Apple was said to be short on staff and supplies for the manufacturing of the iPhone 5. In response, a statement from Foxconn admitted that the firm runs an internship program, as is common in China, but denied that any participants were under China’s legal working age. The company further claimed that students are “free to leave” the program at any time, with placements ranging from one to six months in duration.